Here's a puggie pic to cheer us all up till spring appears. Fatty reminds us that the Easter bunny will be here before we know it. Rupert and Gremlin do their best Ren and Stimpie impressions. We are all set for our 2019 Spring choral season. Looking forward to concerts and workshops and singing, Oh My! Thanks to everyone who tried out! Farewell to Christoph, our beautiful bass who also worked so hard as Choir Committee president and on Tech crew. We miss you already and hope your home country appreciates us letting you go without too much of a fight. Thanks to Pierre, David and all the Stairwellers who work to get the word out for auditions and concert events. Here's our Youtube channel - Contemporary pieces we have done, LIVE in concert. If you tried out and didn't make the cut, it wasn't because you don't have a great voice or even tons of potential. Being chosen for the Stairwell Carollers has less to do with musical knowledge and more to do with the type of voice you have. Pierre has worked through the years to maintain the group sound that ensures no matter who is singing with us, we still have a certain Stairwell Carollers ring. We are just one of many great Ottawa area choirs - one out there is looking for you to join them. 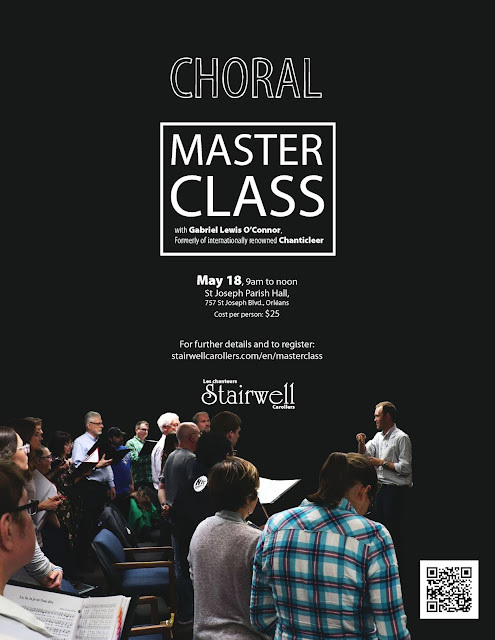 Pierre Massie started our a cappella choir in 1977 while a music student at Ottawa U. 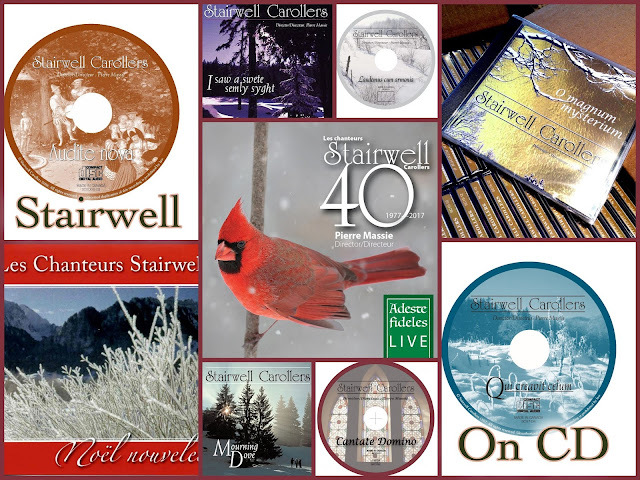 The Stairwell Carollers are proud to have won both the 2010 and 2013 Ontario Music Festival Association competitions. A registered Canadian charity, we also help local charities with our concert, CD and cookbook sales. Donations receive a charitable receipt.